Regional Examiners are appointed by the Technical advisory Committee Chairman to serve members of the United States Soo Bahk Do Mo Duk Kwan Federation within each of the 10 geographical regions of the Federation. Not all former REX are listed here. More are being added as time permits. 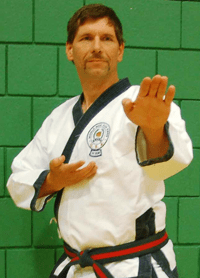 Jeff Mackey, Sa Bom 28089 (Dan Bon) is a Moo Duk Kwan® internationally certified Master level practitioner and master level Instructor (Sa Bom) of the Soo Bahk Do® martial art system taught in Moo Duk Kwan® schools worldwide. 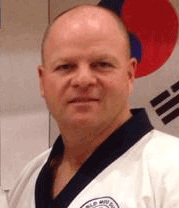 He has been appointed by the Technical Advisory Committee Chairman, Craig Hays Sa Bom Nim as a Regional Examiner for Region 1 (ME, NH, VT, RI, MA, CT) of the United States Soo Bahk Do Moo Duk Kwan Federation®. Denise Mullin-Menendez, Moo Duk Kwan® Dan Bon #33190 Sa Bom is an internationally certified Master level practitioner and master level Instructor (Sa Bom) of the Soo Bahk Do® martial art system taught in Moo Duk Kwan® schools worldwide. 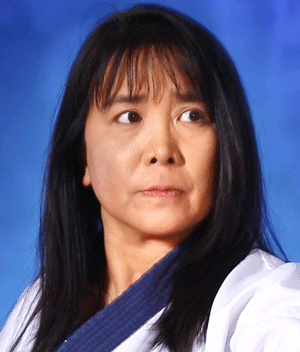 She was previously appointed by the Technical Advisory Committee Chairman, Cash Cooper Sa Bom Nim as a Regional Examiner for Region 2 (NY, PA, NJ, MD, DE, DC) of the United States Soo Bahk Do Moo Duk Kwan Federation®. She also operates a successful Moo Duk Kwan® Certified school in Harrison, New Jersey and actively supports Regional and National events. Tom Brnich, Moo Duk Kwan® Dan Bon #35142 Sa Bom is an internationally certified Master level practitioner and master level Instructor (Sa Bom) of the Soo Bahk Do® martial art system taught in Moo Duk Kwan® schools worldwide. 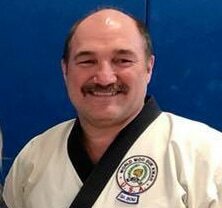 He was been appointed by the Technical Advisory Committee Chairman, Craig Hays Sa Bom Nim as a Regional Examiner for Region 2 NY, PA, NJ, MD, DE, DC) of the United States Soo Bahk Do Moo Duk Kwan Federation®. He also operates a successful Moo Duk Kwan® Certified school in Deptford, New Jersey and actively supports Regional and National events. Gary Brown, Moo Duk Kwan® Dan Bon #22043 Sa Bom is an internationally certified 8th Dan Master level practitioner and master level Instructor (Sa Bom) of the Soo Bahk Do® martial art system taught in Moo Duk Kwan® schools worldwide. 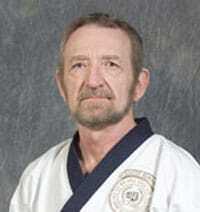 He was been reappointed by the Technical Advisory Committee Chairman, Craig Hays Sa Bom Nim as a Regional Examiner for Region 3 (KY, NC, SC, TN, VA, WV) of the United States Soo Bahk Do Moo Duk Kwan Federation® where he has served since 1992. He also operates a successful Moo Duk Kwan® Certified school in Myrtle Beach, South Carolina and actively supports Regional and National events. Rodrigo Cruz is a Certified Master Instructor (Sa Bom) in the traditional Korean martial art of Soo Bahk Do®. He has been training since 1991 under Grandmaster H.C. Hwang, son of the late Grandmaster Hwang Kee, founder of the Moo Duk Kwan®. He is appointed by the Technical Advisory Committee Chairman as Regional Examiner for Region 4 (Florida, Georgia, Alabama, Louisiana). Grandmaster H.C. Hwang has presented Master Cruz with every rank since white belt, including his most recent 6th Dan level, which he tested for at the week long Ko Dan Ja Shim Sa on November 2016, in Ramona, CA. 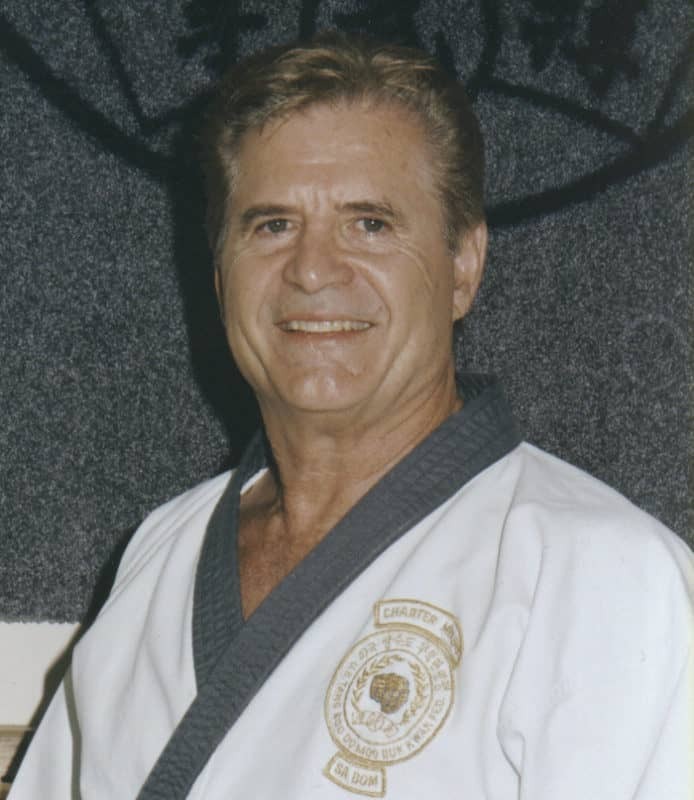 Master Cruz has taught all ages throughout his 12-year teaching experience at the U.S. Moo Duk Kwan® Headquarters Studio, in Springfield, NJ, before moving to FL and opening up Viera Soo Bahk Do® on November 3rd, 2012. He is also actively participates in support of National and Regional events. Christy Cooper, Moo Duk Kwan® Dan Bon #33008 Sa Bom is an internationally certified Master level practitioner and master level Instructor (Sa Bom) of the Soo Bahk Do® martial art system taught in Moo Duk Kwan® schools worldwide. 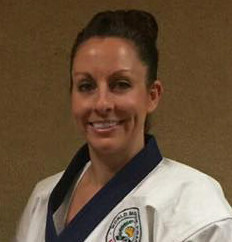 She has been appointed by the Technical Advisory Committee Chairman, Cash Cooper Bom Nim as a Regional Examiner for Region 5 (MI, Il, IN, OH) of the United States Soo Bahk Do Moo Duk Kwan Federation®. She also operates a successful Moo Duk Kwan® Certified school in Hancock, Michigan and actively supports Regional and National events. Carl Vonck, Moo Duk Kwan® Dan Bon #39474 Sa Bom is an internationally certified Master level practitioner and master level Instructor (Sa Bom) of the Soo Bahk Do® martial art system taught in Moo Duk Kwan® schools worldwide. He has been appointed by the Technical Advisory Committee Chairman, Cash Cooper Bom Nim as a Regional Examiner for Region 5 MI, Il, IN, OH) of the United States Soo Bahk Do Moo Duk Kwan Federation®. 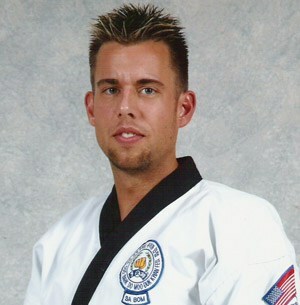 He also operates a successful Moo Duk Kwan® Certified school in Hancock, Michigan and actively supports Regional and National events. 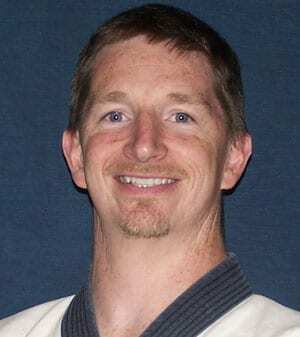 Travis Guinn, Moo Duk Kwan® Dan Bon #32771 Sa Bom is an internationally certified Master level practitioner and master level Instructor (Sa Bom) of the Soo Bahk Do® martial art system taught in Moo Duk Kwan® schools worldwide. 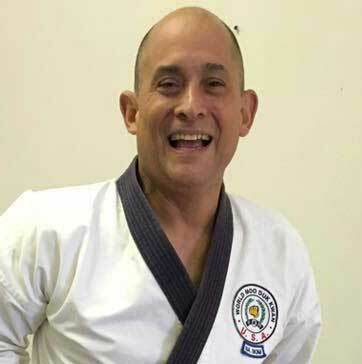 He was been appointed by the Technical Advisory Committee Chairman, Cash Cooper Sa Bom Nim as a Regional Examiner for Region 6 (TX, LA, AR, MO, KS) of the United States Soo Bahk Do Moo Duk Kwan Federation®. He also operates a successful Moo Duk Kwan® Certified school in Montgomery, Texas and actively supports Regional and National events. James Bennett, Moo Duk Kwan® Dan Bon #23250 Sa Bom is an internationally certified Master level practitioner and master level Instructor (Sa Bom) of the Soo Bahk Do® martial art system taught in Moo Duk Kwan® schools worldwide. He also operates a successful Moo Duk Kwan® Certified school in El Dorado, Arkansas and actively supports Regional and National events. Dwayne Townsend, Moo Duk Kwan® Dan Bon #37809 Sa Bom is an internationally certified Master level practitioner and master level Instructor (Sa Bom) of the Soo Bahk Do® martial art system taught in Moo Duk Kwan® schools worldwide. 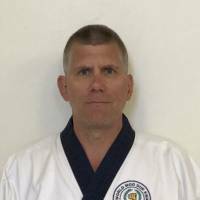 He was been appointed by the Technical Advisory Committee Chairman, Craig Hays Sa Bom Nim as a Regional Examiner for Region 6 (TX, LA, AR, MO, KS) of the United States Soo Bahk Do Moo Duk Kwan Federation®. He also operates a successful Moo Duk Kwan® Certified school in Owaso, Oklahoma and actively supports Regional and National events. Sean Cullen, Sa Bom, Moo Duk Kwan® Dan Bon 26950 is an internationally certified Master level practitioner and master level Instructor (Sa Bom) of the Soo Bahk Do® martial art system taught in Moo Duk Kwan® schools worldwide. 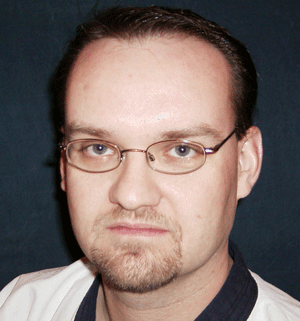 He has been appointed by the Technical Advisory Committee Chairman, Craig Hays Sa Bom Nim as a Regional Examiner for Region 7 (WI, ND, SD, NE, IW, MN) of the United States Soo Bahk Do Moo Duk Kwan Federation®. Michael Kelly, Sa Bom, Moo Duk Kwan® Dan Bon 31402 is an internationally certified Master level practitioner and master level Instructor (Sa Bom) of the Soo Bahk Do® martial art system taught in Moo Duk Kwan® schools worldwide. 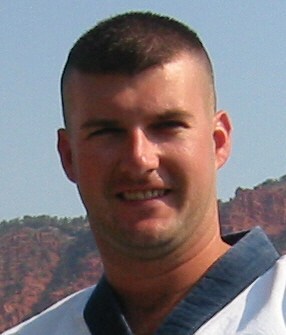 Wasatch Martial Arts Academy is owned and operated by Master Brian Corrales. Master Corrales brings over 25 years of martial arts experience into his classes, 15 of which where he has owned his own school. 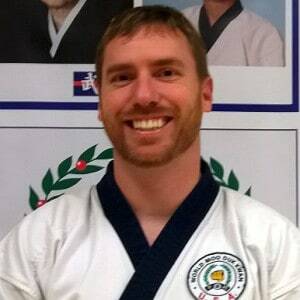 Brian Corrales has participated in the infamous Ko Dan Ja Shim Sa, an 8-day Masters Test in the mountains of California in 2008 and again in Switzerland in 2013. He is currently a 5th Dan (5th degree black belt equivalent) in the art of Soo Bahk Do Moo Duk Kwan. He is also a certified Sa Bom, designating him as a “master model” instructor. This is the highest level of teaching certification issued by Moo Duk Kwan® for the Soo Bahk Do® martial art system. Master Corrales is the highest ranking Soo Bahk Do practitioner in Utah and operates the only certified school in the state that is legally authorized to teach Grandmaster Hwang Kee’s art form known as Soo Bahk Do®. In 2010, Master Corrales was appointed as Region 8’s Youth Ambassador where teaches seminars at the regional and national level targeting children, teenagers, and young adults. 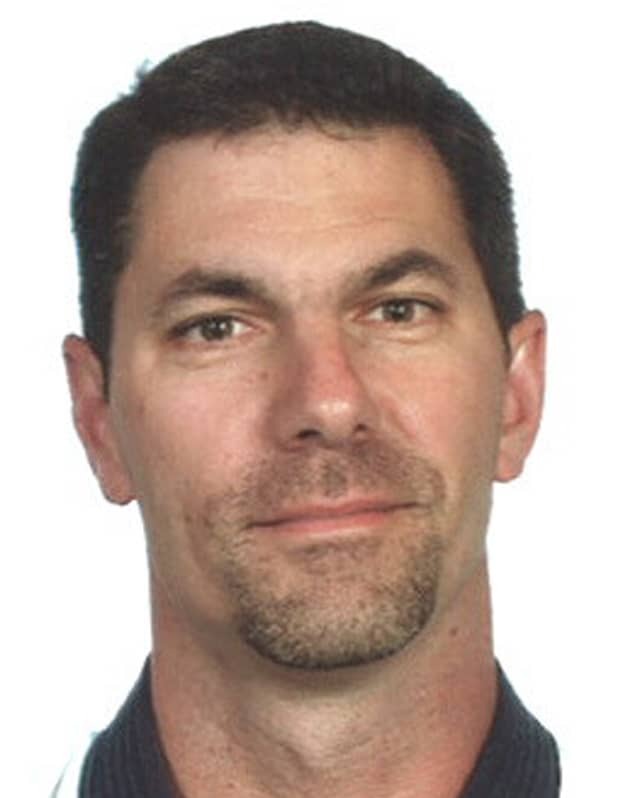 In 2011, Master Corrales was appointed by the Chairman of the Technical Advisory Committee to officiate as a Regional Examiner in Region 8 (Montana, Idaho, Utah, Wyoming, Colorado, Arizona, and New Mexico). 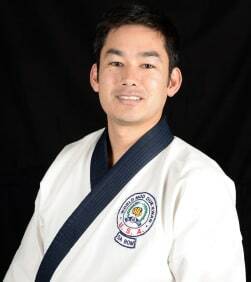 He is responsible, along with Oliver Whitcomb Sa Bom Nim, to oversee Dan-level promotions, and ensure that students, instructors, and schools within Region 8 are in accordance with the values set forth by the Technical Advisory Committee and Grandmaster H.C. Hwang. 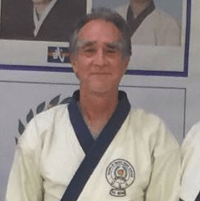 Master Corrales has taught many special seminars throughout the Rocky Mountain region and has been a multiple-time National Champion at the Soo Bahk Do National Championships. He has trained in Korea and has received instruction from both the founder of Soo Bahk Do, Kwan Jang Nim Hwang Kee and his son Kwan Jang Nim H.C. Hwang. Brian Corrales has also been nominated into the Black Belt Hall of Fame and was invited to participate on the USA Karate Team. Soo Bahk Do is Master Corrales’ primary art and always will be. He has, however, experimented in the following martial art systems: Tae Kwon Do, Shorin-ryu, Shotokan, Budoshin Jiujitsu, and Brazilian Jujitsu. He also acquired a black belt in Tang Soo Do (Korean karate) before training in Soo Bahk Do. He is also known to hold special seminars using the Kan Bong (6 foot Korean staff). 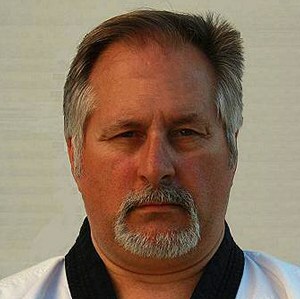 Master Corrales is a seeker of knowledge and his classes given unique insight that he has acquired from his diversity of training. Master Corrales holds dan number 36364, which was issued to him by Grandmaster Hwang Kee. His lineage can be traced back to the founder himself. 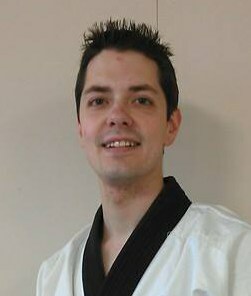 Josh Duncan, Moo Duk Kwan® Dan Bon #29793 Sa Bom is an internationally certified 6th Dan Master level practitioner and master level Instructor (Sa Bom) of the Soo Bahk Do® martial art system taught in Moo Duk Kwan® schools worldwide. He has been appointed to serve as a TAC Assistant 2017-2020. Duncan Sa Bom Nim has also been appointed by the TAC Chairman as Regional Examiner for Region 9 (CA, HI ) of the United States Soo Bahk Do Moo Duk Kwan Federation®. He was also previously appointed by the Kwan Jang Nim as the Chairman of the National President's Vision Tour Committee. 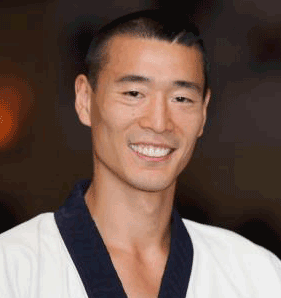 He operates a successful Moo Duk Kwan® Certified school in Lomita Park, CA and actively supports Regional and National events. Vicki Kenyon, Moo Duk Kwan® Dan Bon #32665 Sa Bom is an internationally certified Master level practitioner and master level Instructor (Sa Bom) of the Soo Bahk Do® martial art system taught in Moo Duk Kwan® schools worldwide. 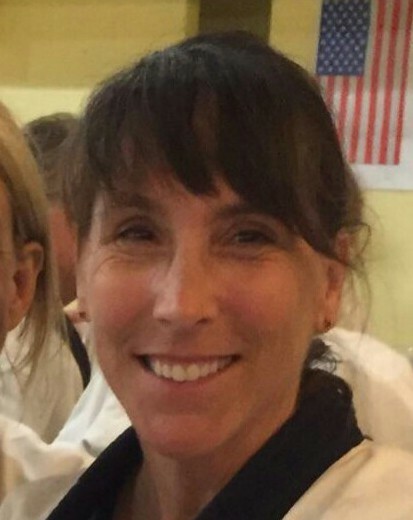 She has been appointed by the Technical Advisory Committee Chairman, Craig Hays Sa Bom Nim as a Regional Examiner for Region 9 (CA,HI) of the United States Soo Bahk Do Moo Duk Kwan Federation®. She also operates a successful Moo Duk Kwan® Certified school in California and actively supports Regional and National events. 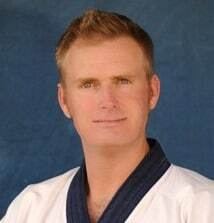 Jeff Griggs, Moo Duk Kwan® Dan Bon #23269 Sa Bom is an internationally certified 7th Dan Master level practitioner and master level Instructor (Sa Bom) of the Soo Bahk Do® martial art system taught in Moo Duk Kwan® schools worldwide. Griggs Sa Bom Nim has been appointed by Moo Duk Kwan® President H.C. Hwang to serve on the United States Soo Bahk Do Moo Duk Kwan Federation® Technical Advisory Committee, Technical Performance sub-committee (Ki Sul Bu) 2017-2020. He was also previously appointed by the Kwan Jang Nim to serve on the TAC Weh Gung Bu 2005-2017. Griggs Sa Bom Nim was also previously appointed by the Technical Advisory Committe Chairman as a Regional Examiner for Region 8 (MO,ID,UT,CO,NM) of the United States Soo Bahk Do Moo Duk Kwan Federation®. In 1993 he was Region 8 Team Hyung Co-Champion, has served on the Region 8 Board and actively supports Regional and National events. Born and raised in Aspen, CO. Owner and Chief Instructor of the Rocky Mountain Martial Arts II in Basalt, CO.
Josh Lockwood, Moo Duk Kwan Dan Bon 29755, is an internationally certified Master level practitioner and master level Instructor (Sa Bom) of the Soo Bahk Do® martial art system taught in Moo Duk Kwan® schools worldwide. He has been appointed by Moo Duk Kwan® President H.C. Hwang to serve on the United States Soo Bahk Do Moo Duk Kwan Federation® Technical Advisory Committee, Administrative sub-committee (Heng Jeung Bu) 2017-2020. He was previously appointed by Kwan Jang Nim and served on the TAC Neh Gung Bu since 2011. Lockwood Sa Bom Nim was also previously appointed by the TAC Chairman as Regional Examiner for Region 5 (MI, Il, IN, OH) of the United States Soo Bahk Do Moo Duk Kwan Federation®. He actively supports Regional and National events. Michael Zickafoose, Moo Duk Kwan® Dan Bon #30699 Sa Bom is an internationally certified Master level practitioner and master level Instructor (Sa Bom) of the Soo Bahk Do® martial art system taught in Moo Duk Kwan® schools worldwide. Zickafoose Sa Bom Nim was also previously appointed by the TAC Chairman as Regional Examiner for Region 5 (MI, Il, IN, OH ) of the United States Soo Bahk Do Moo Duk Kwan Federation®. He has also previously served as an assistant to the Technical Advisory Committee and actively supports all Regional and National events. Jennifer Gibbons, Moo Duk Kwan® Dan Bon #32238 Sa Bom is an internationally certified Master level practitioner and master level Instructor (Sa Bom) of the Soo Bahk Do® martial art system taught in Moo Duk Kwan® schools worldwide. Gibbons Sa Bom Nim has been appointed by Moo Duk Kwan® President H.C. Hwang to serve on the United States Soo Bahk Do Moo Duk Kwan Federation® Technical Advisory Committee, Technical Performance sub-committee (Ki Sul Bu) 2017-2020. She was also previously appointed by the Kwan Jang Nim and served on the TAC Shim Gung Bu 2001 - 2017. She is an instructor at both Aspen and Basalt branches of Rocky Mountain Martial Arts. Cort Stinehour, Moo Duk Kwan® Dan Bon #33190 Sa Bom is an internationally certified Master level practitioner and master level Instructor (Sa Bom) of the Soo Bahk Do® martial art system taught in Moo Duk Kwan® schools worldwide. He has been appointed by Moo Duk Kwan® President H.C. Hwang to serve on the United States Soo Bahk Do Moo Duk Kwan Federation® Technical Advisory Committee, Moo Duk Kwan® Preservation sub-committee (Ki Sul Bu) 2017-2020. Stinehour Sa Bom Nim was previously appointed by the Technical Advisory Committee Chairman, Cash Cooper Sa Bom Nim as a Regional Examiner for Region 2 (NY, PA, NJ, MD, DE, DC) of the United States Soo Bahk Do Moo Duk Kwan Federation®. 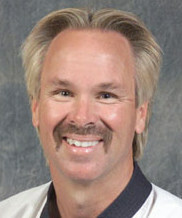 He has also served as an elected Board Director for members of Region 2. He operates a successful Moo Duk Kwan® Certified school in Ellenville, New York and actively supports Regional and National events. 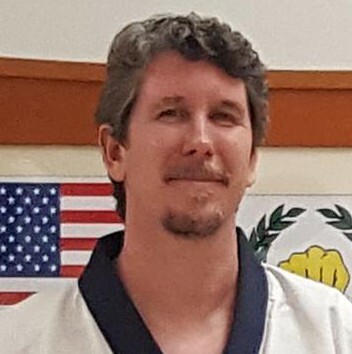 John Mahony serves as the local host and coordinator for the annual Ko Dan Ja Shim Sa event in Ramona, CA. He facilitates all aspects of managing the event to assure all participants have the best possible experience. He also serves as one of the Technical Advisory Committee's Appointed Regional Examiners in Region 9 of the United States Soo Bahk Do Moo Duk Kwan Federation. He also serves as one of Kwan Jang Nim H.C. Hwang’s appointed representatives on the Board of the United States Soo Bahk Do Moo Duk Kwan Federation®. Larry Seiberlich serves as one of Kwan Jang Nim H.C. Hwang’s appointed representatives on the Senior Advisory Committee. He also serves as the World Moo Duk Kwan Chair facilitating global meetings of Moo Duk Kwan® authorized organizations on behalf of H.C. Hwang, Kwan Jang Nim. Russ Hanke serves as one of Kwan Jang Nim H.C. Hwang’s appointed representatives on the Senior Advisory Committee. Frank Tsai, Moo Duk Kwan® Dan Bon #32700 Sa Bom is an internationally certified Master level practitioner and master level Instructor (Sa Bom) of the Soo Bahk Do® martial art system taught in Moo Duk Kwan® schools worldwide. He has been appointed by Moo Duk Kwan® President H.C. Hwang to serve on the United States Soo Bahk Do Moo Duk Kwan Federation®Technical Advisory Committee, Digital sub-committee (Digital Bu) 2017-2020. Master Tsai is currently a 5th degree midnight blue belt with the Moo Duk Kwan® and has trained in the Martial Arts for over 25 years. Prior to attaining his masters belt, he was the United States Soo Bahk Do Moo Duk Kwan Federation® National lightweight sparring champion for 4 years in a row and won 1st place in the full contact continuous sparring division at the Battle of Baltimore. Master Tsai has previously studied Japanese Karate, Caeporia, Jiu-Jitsu, Tai-Chi, Wing Chun, and wrestling and regularly practices Astanga Yoga and enjoys break dancing in his free time. He also holds a Bachelor's of Science in Computer Engineering and a Masters Degree in Information Systems from the Johns Hopkins University. He telecommutes full time for DocuSign as a Technical Consultant. Gene Riggs serves as one of the Technical Advisory Committee's appointed Regional Examiners for members residing in Region 6. He has also served as an elected Director on the Board of the United States Soo Bahk Do Moo Duk Kwan Federation®. Moo Duk Kwan® Dan Bon 26263. 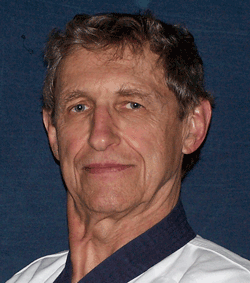 William Hockman, Moo Duk Kwan® Dan Bon #27133 Sa Bom is an internationally certified Master level practitioner and master level Instructor (Sa Bom) of the Soo Bahk Do® martial art system taught in Moo Duk Kwan® schools worldwide. He also operates a successful Moo Duk Kwan® Certified school in Oklahoma and actively supports Regional and National events. Dan Ellenbecker, Moo Duk Kwan® Dan Bon #27146 Sa Bom is an internationally certified Master level practitioner and master level Instructor (Sa Bom) of the Soo Bahk Do® martial art system taught in Moo Duk Kwan® schools worldwide. He was been appointed by the Technical Advisory Committee Chairman, Cash Cooper Sa Bom Nim as a Regional Examiner for Region 7 (WI, ND, SD, NE, IW, MN) of the United States Soo Bahk Do Moo Duk Kwan Federation®. 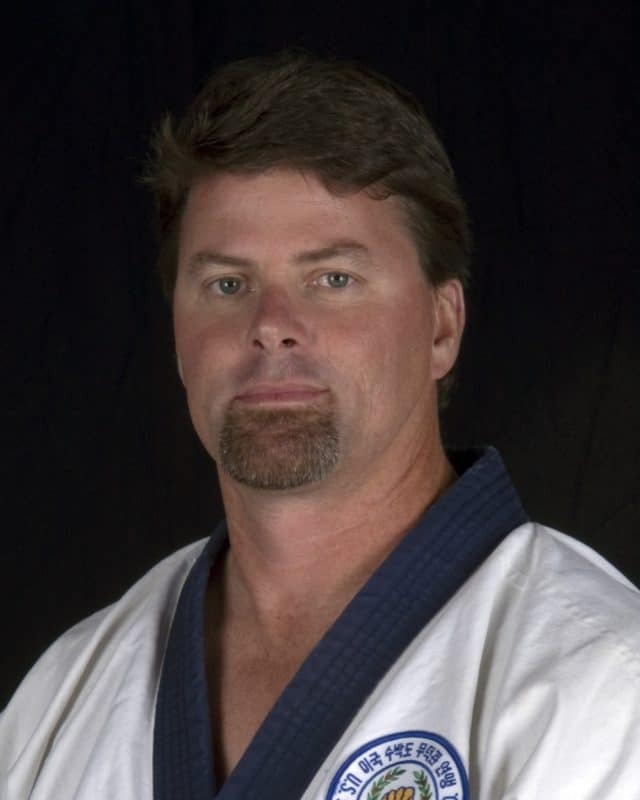 Dave Billings, Moo Duk Kwan® Dan Bon #28976 Sa Bom is an internationally certified Master level practitioner and master level Instructor (Sa Bom) of the Soo Bahk Do® martial art system taught in Moo Duk Kwan® schools worldwide. He also actively supports Regional and National events. Anna Oulashin, Moo Duk Kwan® Dan Bon #31097 Sa Bom is an internationally certified Master level practitioner and master level Instructor (Sa Bom) of the Soo Bahk Do® martial art system taught in Moo Duk Kwan® schools worldwide. 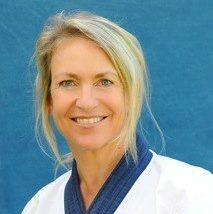 She has been appointed by the Technical Advisory Committee Chairman, Craig Hays Sa Bom Nim as a Regional Examiner for Region 10 (WA, AK, OR) of the United States Soo Bahk Do Moo Duk Kwan Federation®. She also operates a successful Moo Duk Kwan® Certified school in Camas, Washington and actively supports Regional and National events.